Lock 50 Restaurant & Wine Bar is already known to have one of the finest patios in all of Worcester. In years past though, the outdoor dining season would end sometime around the middle of October as the sun began to set earlier and the weather began to cool down. But not any more. 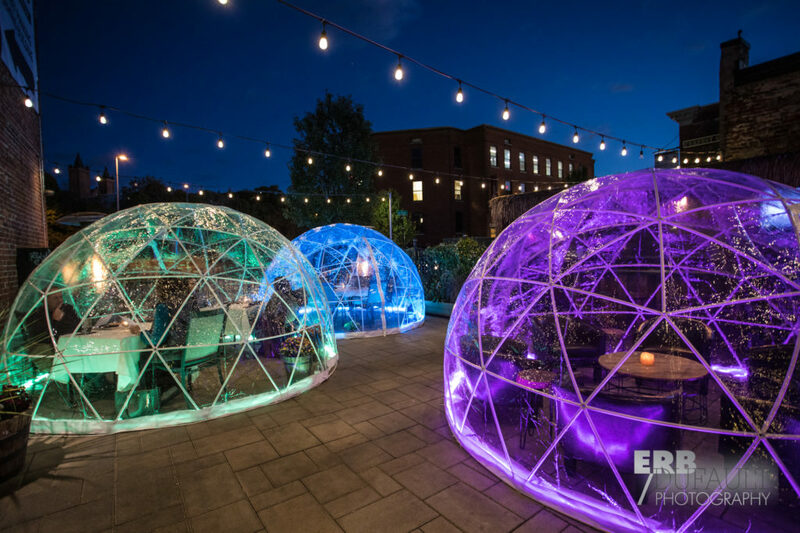 With the addition of some very stylish, pop-up Patio Igloos, the patio season has been extended into and right through the Winter. The Patio Igloos at Lock 50 will shield customers from all sorts of undesirable weather. And the transparent, cold-resistant cover will help keep the cold out and the warmth in! The Patio Igloos will be seated on a first come, first serve basis with a 2 1/2 hour maximum use per party. Dinner reservations to be seated in the igloos cannot be accepted at this time, but Lock 50 does have a rental program which will guarantee an igloo will be reserved exclusive for your usage, with no minimum or maximum usage limit. The rental program is $50 per hour and can be secured with a $50 non-refundable credit card deposit by calling (508) 379-3400.